Transcend Recovery Community was founded in 2008 and has been providing help for men and women suffering from substance dependence and mental health problems for decades. The community seeks to help individuals on the path to long-lasting recovery and offers numerous gender-specific sober living facilities for men and women in New York, Los Angeles, and Houston. The community has sober living facilities for men at Santa Monica, Beverly Hills, and Venice while the facilities for women exist in Houston, Texas and Santa Monica. These sober living facilities usually consist of holistic-centered recovery and family programs. The community offers a sub-acute medical detox center in the hills of Brentwood known as “The View”. The View provides clients with a highly individualized, client-centered treatment plan tailored to suit their needs. The center offers relief from various forms of substance addiction and stabilization programs may last for up to two months. Since 2012, the community has provided adolescents with the chance to receive support when they need it the most in the form of adolescent mentoring. This program helps participants—mostly young adults and teenagers—to cope with academics, social dynamics, and extracurricular activities in healthy ways. Transcend also offers clients support in the form of a sober companion and sober mentoring program, both of which aim to build accountability and healthy living for the client. 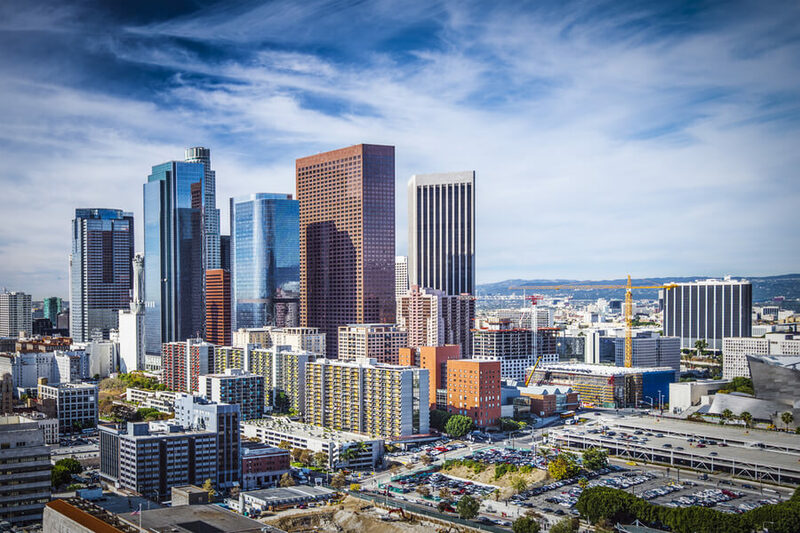 The community has multiple facilities in Los Angeles, New York, and Houston each tailored to suit the individual needs and wants of the residents. The average length of stay for a client is about 5 months although many individuals may stay past that. At the luxury detox center in Brentwood which is a 6-bed facility, there is a pool, patio, and hot tub for clients to detox comfortably. An experienced, on-site chef is available and so are yoga classes and massages. The Santa Monica sober living facility for men offers gym membership for every client and weekly boxing instruction. All facilities in each location are well-furnished and can accommodate up to 12 residents at a time. Most rooms are double occupancy but single rooms can be made available for an extra charge. Residents have their own nightstands, dressers, and desks. Most facilities have Jacuzzis, laundry services, and fully-stocked kitchens. All houses have large flat screen televisions and are fully-equipped with wireless internet and cable. Grocery shopping is done by the Transcend staff thrice weekly. Breakfast and lunch are usually prepared by the client while a professional chef handles the dinner preparations. Most facilities also provide transportation to appointments or meetings. Clients at the facility are also allowed but not encouraged to smoke. The partial hospitalization program holds at Heights Treatment and Westside Treatment and is a good option for clients who have completed a residential program. It is also ideal for people who cannot commit or pay their way through an inpatient program. It affords clients the opportunity to receive treatment while living in a sober living house or in their own homes. Individual and holistic forms of therapy are usually available at this stage. In the outpatient treatment program, the community offers clients the opportunity to receive comprehensive treatment while living at home. This is an ideal form of treatment for people who are unable to take time away from work or have other personal obligations. Private pay is also accepted. The finance team is available to answer any questions and figure out a payment plan that is of convenience to the patient. The organization is a member of The Sober Living Coalition. No license is required as the facility does not provide therapeutic or medical services. The organization provides a discharge plan which is called The Sober Mentoring Program for clients desiring to leave the sober living accommodation and live independently. The essence of the program is to offer supervision as the organization believes that the transition from the sober living house to living independently is a very important and crucial time. The program involves meetings, goal setting, proper communication, drug tests, supervision, house inspections, and many more. One of the qualified staff (family director) contacts the loved ones of patients registered into the program, weekly, to give updates on the progress of the patient. A family weekend is organized every two weeks to support and educate patients’ family members. Recreational activities such as yoga, acupuncture, and book study are offered to clients on all levels weekly. The community practices the sober living approach to healing and recovery on a full scale, providing eye-catching accommodations and equipment. Although the cost of living in one of the establishment or houses is relatively high, it is a very appealing option for clients who desire to practice sober living and live in luxury. Jude started working for the facility in 2014. She is currently the program director at the holmly house which she got by a gradual transition of duties. She prides herself in her dedication to the clients complete healing and well-being, and also creating an environment in which the women can live their best life. She serves as just not a program director, but as a sober companion. She is known to go the extra mile to give the clients she manages the best. Anthony works as the program director for clients at the Manhattan home, New York. Before serving in this position in the New York house, he held the position of support staff team for the Los Angeles Transcend location. Although he worked as a television commercials composer, his true passion and inspiration were to help individuals through their journey to recovery as he once was a member of a sober living home. He holds a degree from the Loyola Marymount University where he majored in Drug and Alcohol Counseling.